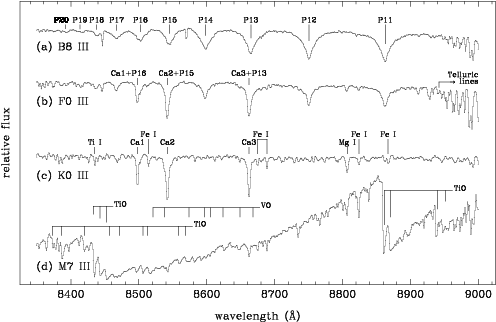 This library consists of ~700 stars with spectra around the Ca II triplet region, and are also part of the MILES library. The stars cover the spectral range between 8350-9020 Å at 1.5 Å (FWHM). (Cenarro et al. 2001). A dedicated website for this library can be found here. The library is available as a single tar file in FITS format.